A pre-cooked pizza base of approximately 10.5″ diameter. 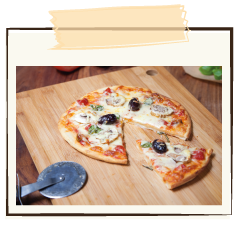 Made in the traditional Italian-style with a thin and crispy crust. Wheat free, gluten free, dairy free, egg free, nut free and yeast free. 2 * 280 pizza bases per pack.